Fifth generation (5G) networks will soon be a reality in the Middle East following the successful completion of the first implementable Release 15 5G New Radio (NR) specifications published in December 2017 at the 3GPP TSG RAN Plenary Meeting in Lisbon, Portugal. The announcement set the stage for the global mobile industry to start full-scale development of 5G NR for large-scale trials and commercial deployments as early as in 2019. Some of the world's most influential telecommunications companies jointly issued a statement about the completion of the Third Generation Partnership Project (3GPP) initiative's 5G NR standards, including global vendors such as Huawei, Qualcomm, Ericsson, ZTE, LG, Samsung and Intel, as well as some of the largest mobile operators including AT&T, China Mobile, China Unicom, SK Telecom, Verizon, Vodafone, Orange and NTT DOMOCO. "We are excited to be part of this significant milestone, and to once again be at the forefront making the 5G vision a reality in 2019," said Qualcomm President Christiano Amon. "We look forward to continue working with our mobile industry peers to bring 5G NR commercial networks and devices in 2019 in smartphone and other form factors, for both sub-6Ghz and mmWave frequency bands, and to continue developing 5G technologies to connect new industries and enable new services and user experiences in the years to come." In 2017, the industry agreed to accelerate the 5G standardization schedule and it was agreed to split up the specification of the 3GPP initiative's Release 15 into two phases: Release 15 NSA (non-standalone) as a priority and Release 15 Full (with standalone) to be completed at a later date in 2018. The announcement made in December 2017 completes the first phase and arguably the most important phase for equipment manufacturers and designers. The non-standalone specification revolves around enabling the enhanced mobile broadband (eMBB) use case and anchors the connection in LTE while 5G NR carriers are used to increase data rates and reap the benefits of reduced latency. This mode will be the foundation of 5G in the early years of adoption as mobile carriers introduce network compatibility. With the completion of 5G NR standardization, equipment vendors can move ahead with designing devices that adhere to the specifications of 5G NR. The next stage in 5G standardization will be the full Release 15 specifications that are expected to be completed in June 2018. These standards will enable standalone 5G NR with user and control plane using the 5G next generation core network (5G NGC). The NSA and SA releases share the same physical layer specifications, and analysts expect NSA hardware equipment to be forward compatible with the SA standard once it has been finalized. "The completion of NSA standard is an essential milestone to enhance the capabilities of mobile networks," Lan Yun, president, Carrier Network Business Group, Huawei Middle East told Telecom Review. Yun said that with NSA, 5G is going to come to commercialization very soon and influence the Middle East region "deeply". In the Middle East, telecom operators have been facing challenges on revenue increase pressure and digital O&M transformation, and the arrival of 5G will no doubt be a new opportunity for comprehensive strategy deployment, Yan said. With NSA standard completion, he said Huawei will continue to cooperate with and assist operators in the Middle East for 5G exploration and commercial deployment and help operators seize new opportunities. Huawei signed a Memorandum of Understanding (MoU) with Saudi telecom provider STC during Mobile World Congress this year to collaborate on 5G innovation. The two companies are committed to launching a 5G network in Saudi Arabia in 2018, thereby maintaining STC's pioneering position in the telecommunications industry. The MoU also prepares the ground for advanced joint innovations, leveraging 5G technologies and cultivating 5G services to fulfill ever-growing market expectations. "We are confident that we collectively have the knowledge and innovation power that will enable us to move fast towards the 5G era," said STC acting CEO Nasser Al-Nasser. "While we celebrate this collaboration on shaping the future of 5G, we are very excited about the prospects and the promise that comes with the new 5G network." STC also announced collaboration with Nokia to realize its 5G network aspirations. The companies have agreed to collectively work towards finding the most optimal network strategy and relevant use cases for 5G deployments in the Saudi market. As a first step, hundreds of 5G base stations are planned to be deployed in the western region in the Kingdom of Saudi Arabia (Makkah, Madinah and Yanbu). Amr K. El Leithy, head of Middle East and Africa Market at Nokia, said the company will leverage its technology expertise to define the strategies and services that will help STC achieve Saudi Vision 2030. He said Nokia's products and solutions will allow STC to evolve its network, "managing 4G demands today and the 5G demands of the future." The United Arab Emirates (UAE) is also surging ahead with 5G plans. The country's largest telecom provider, Etisalat, announced in December 2017 the pre-commercial launch of 5G ultra mobile broadband in certain locations in Dubai and Abu Dhabi. In a statement, the operator revealed that 5G was tested using an advanced 5G-based drone that was equipped with a 360 degree virtual reality camera with 4K streaming capabilities in a live environment achieving up to 5Gbps in downlink and 2Gbps in uplink, with low latency and strong IoT connections. The announcement came a day after the UAE's Telecommunications Regulatory Authority (TRA) allowed the local mobile operators to start deploying 5G networks in phases from 2018. TRA director general, H.E. Hamad Obaid Al Mansoori, said the TRA is "proud to be among the first countries that apply the 5G technology of telecommunications, which is in line with our leadership directives and the UAE vision 2021, which places our country in its deserved position among the top countries of the world." In June 2017, UAE telecom operator, du, part of Emirates Integrated Telecommunications Company (EITC), successfully conducted a trial in preparation for 5G using its commercial mobile network of the new Massive MIMO (multiple input, multiple output) solution. MIMO is an antenna technology in which multiple antennas are used at both the source (transmitter) and the destination (receiver). The antennas at each end of the communications circuit are combined to minimize errors and optimize data speed. During the field trials, du achieved record-breaking cell capacity that exceeded 700Mbps using a single carrier of 20MHz. Du is also the first in the region to utilize three simultaneous carriers totaling 60MHz which brings the cell capacity to more than 2.1Gbps. The tests were conducted on a live commercial du site using real commercial handsets and terminals. 5G is a "phased approach," said du in a statement, confirming it will continue with trials until its official 5G launch in 2019. The company's chief infrastructure officer, Saleem Al Blooshi, said consumers' expectations "will only increase, as the amount of information exchanged proliferates – and 5G will offer the instant data transfer." In Kuwait, mobile operator VIVA, a subsidiary of STC, successfully tested 5G in its lab in April 2017 and was able to achieve almost 35Gbps. More recently, Kuwaiti telecom company, Zain Group, successfully tested 5G achieving speeds of over 70Gbps over 2GHz spectrum. Ericsson signed a MoU at Mobile World Congress this year with Zain to jointly develop and test selected 5G and internet of things (IoT) use cases. In Qatar, the island nation's largest telecom provider, Ooredoo, announced at Mobile World Congress 2018 that it has strengthened its framework agreement with Nokia to pave the way for 5G adoption across the Middle East, North Africa and Southeast Asia (areas where the company operates subsidiaries). The companies will collaborate on 5G deployments starting in 2018, Ooredoo said in a statement. The Middle East and Africa, a region encompassing more than 70 countries, faces extreme market variations in terms of information and communication technology (ICT) maturity. As developed nations in the Middle East like Saudi Arabia and the UAE move ahead with 5G implementation plans, countries in Africa are still only catching up to 3G and 4G. Nevertheless, Ericsson predicts around 17 million 5G subscriptions in Africa and the Middle East by 2023. 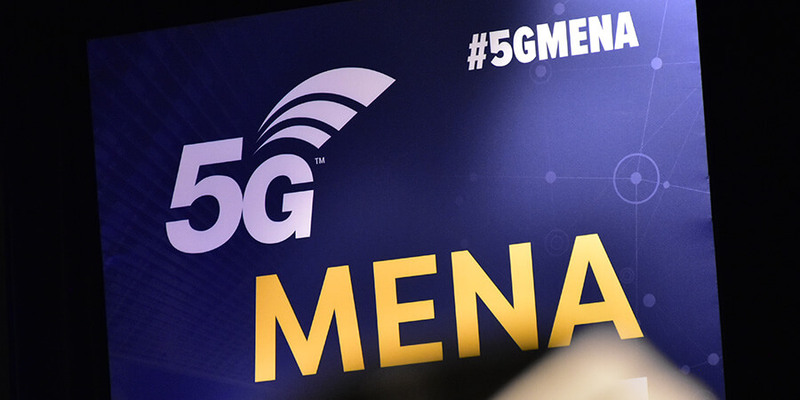 5G will be an important technology in growing industrial digitalization, and despite IoT being in its infancy in much of the region, there are examples of how it has already helped improve the livelihood of MEA communities and industries. These include smart agriculture initiatives in Turkey and Africa, and Narrowband-IoT (NB-IoT) being used to address utilities and smart meters in South Africa. With a young population, the Middle East and Africa is poised to see growth in telecom and ICT services, Ericsson predicts. Particularly in the Middle East and North Africa (MENA), which has higher penetration rates of smartphones, mobile traffic and mobile data traffic compared to Sub-Saharan Africa, operators will be faced with an increasing demand for faster network capability (lower latency and higher data throughput speeds) to deliver better application coverage for more consumers in the coming years. During a press conference at Mobile World Congress 2018, Rafiah Ibrahim, president of Ericsson region Middle East and Africa, explained how the market area she covers is extremely diverse, with some operators in the Middle East moving ahead with 5G plans this year; whereas, operators in Africa are facing unique technology challenges, where some areas aren't connected to a power grid, and many people don't even have a bank account. The mobile subscription rate in Africa was 700 million by the end of 2017 and it's growing at about 6 percent, Rafiah said. Growth in the region will come in stages, she predicts, and by 2023, there is likely to be around 1 billion mobile users in the region. Ericsson's strategy is to maintain and improve operators' 3G and 4G networks in Africa so that they can prepare for 5G in the future, she said.